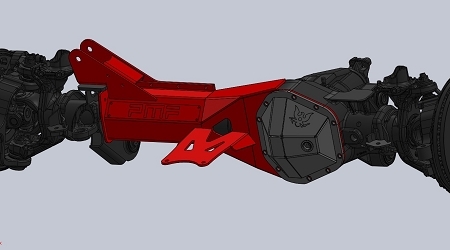 PMF is proud to offer a unique bolt on modular truss system for the Superduty Dana 60 front axle. This truss gives the user the ability to clean up the appearance of the front axle while increasing its strength at the same time! The truss consists of 2 sections, the front which sandwiches between the diff face and the diff cover and the rear section which bolts on after. With the unique way that this system bolts together there is only 1/4" of ground clearance loss. The axle is firmly held in place with our clamping method thus increasing the overall strength of the axle and adding a buffer from front/bottom impacts. 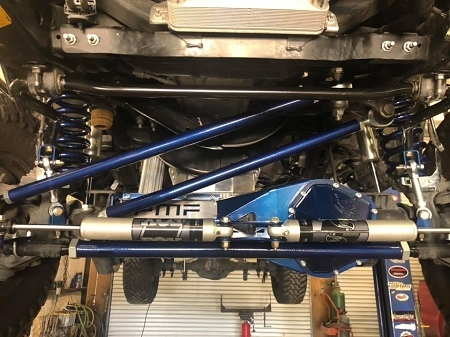 This item being bolt on, also allows the user to custom paint or powder coat the truss without the hassle of having to completely strip and dis-assemble the axle to do so! As always, this product is entirely Made in the USA! This truss is available blank, meaning its just the truss itself, or with an integrated dual stabilizer bracket, or with a trackbar mount designed to work with our High Steer System (other components required to be purchased separately). With the way this truss clamps tightly to the axle, some trimming may be required to allow truss to seat to the axle. 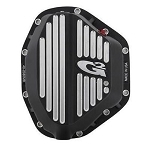 Diff cover, stabilizers, and trackbar systems sold separately!